Here's something the makers of Greek yogurt don't want you to know: it's just strained regular yogurt. There, I said it. Secret's out. I love Greek yogurt, but what I don't love is spending 4 times as much per container. 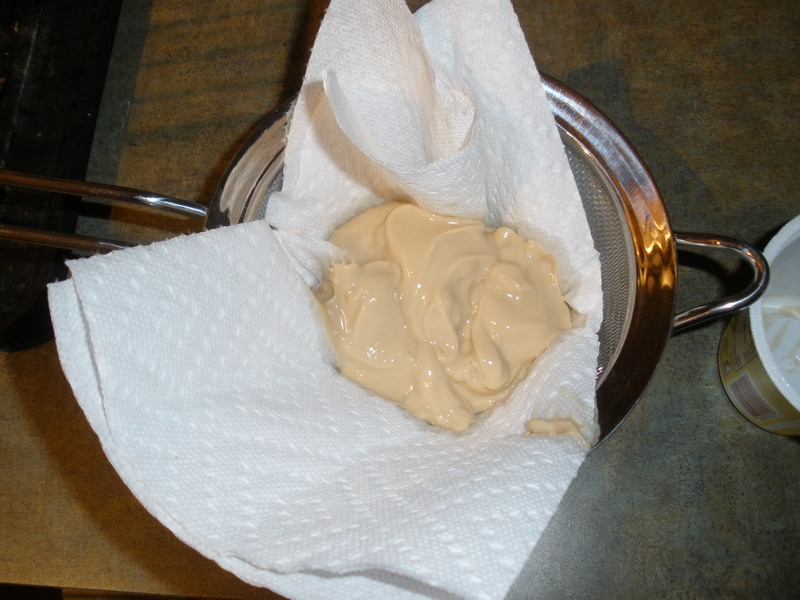 What I discovered this week is that it's super easy to strain your own yogurt. First, get a few papertowels, a few coffee filters, or some cheesecloth and place in a strainer. 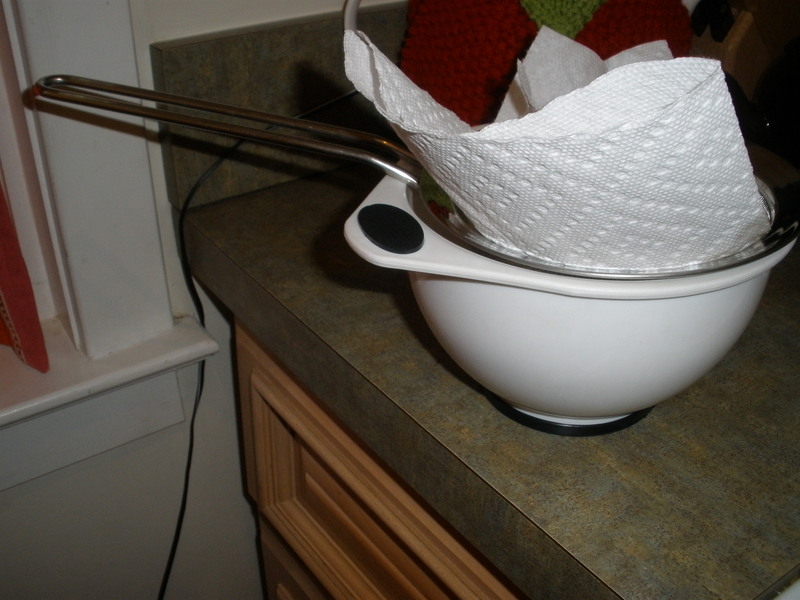 Put yogurt in the strainer over a bowl, and place in the refrigerator for several hours or overnight. That's it. At the end of some time in the fridge, there will be lovely, cheaper, Greek yogurt (and some whey down in the bowl, which you can discard or use as an extra boost for smoothies). I tried plain yogurt the other day, and this batch is coffee. Seriously--yum.